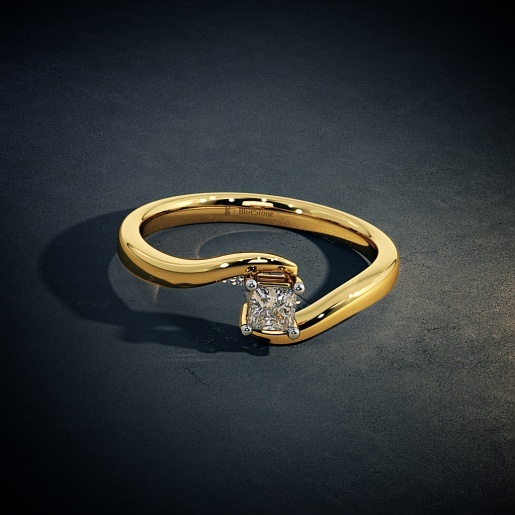 Since their discovery, diamonds have been the most precious gemstone adored by women, and even men, all over the world. You can find the perfect engagement ring for the woman of your dreams at BlueStone. 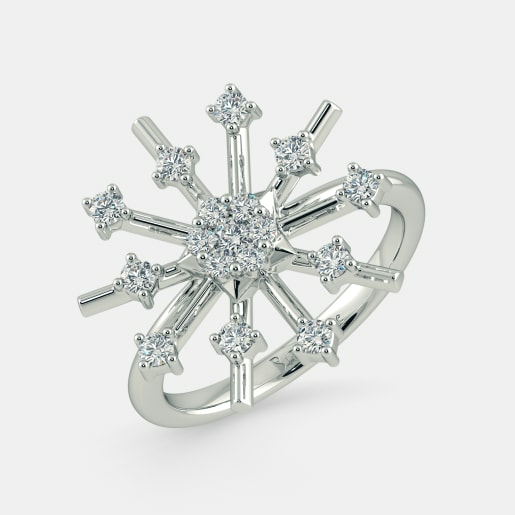 Our women's diamond engagement ring designs are handcrafted to be showstoppers! 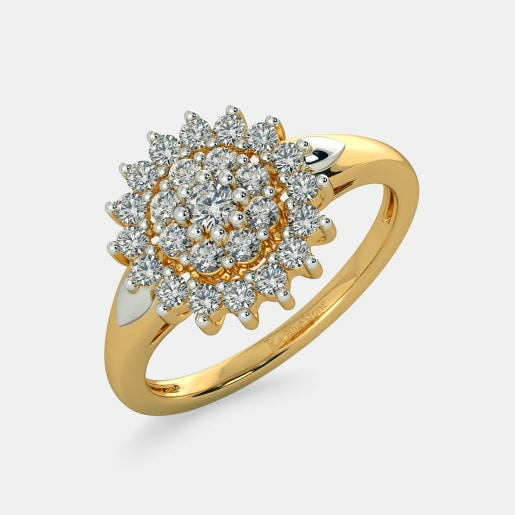 You can be sure that she’ll love what you choose from our collection of high purity, glossy gold or white gold rings studded with the most exquisite stone with a brightness that’s hard to describe. 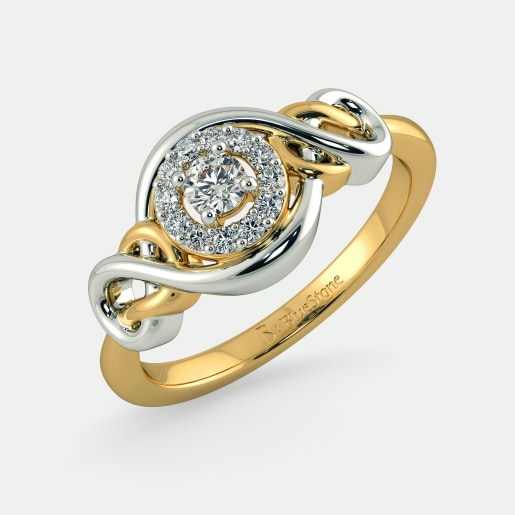 Amongst our extensive range, you’ll also find rings that are embossed with more than one sparkling diamond. 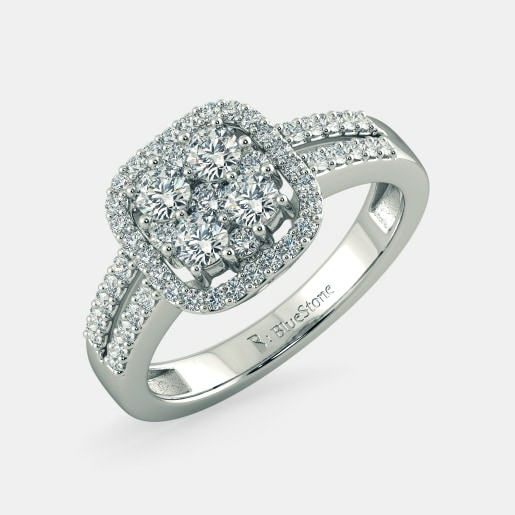 Browse our collection for everything from solitaires to clusters and many other gorgeous styles and designs. 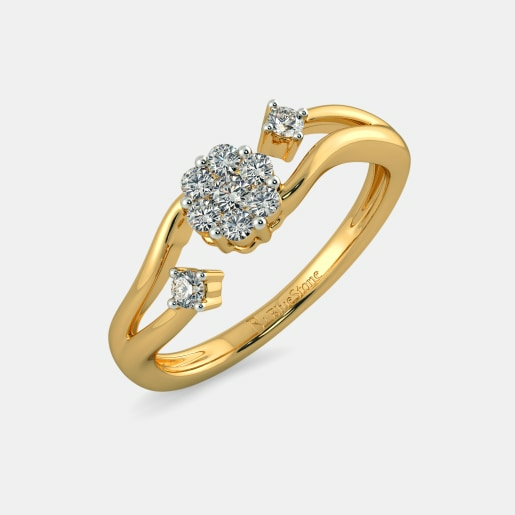 The presence of a diamond on a ring symbolises the foundation of a strong bond. This precious stone is a representation of light, purity, and commitment. Owing to its strength, durability, it is called the stone of invincibility. Its rarity and its beauty make it an ode to love that’s pure and innocent. It represents fidelity, the strength of character, faithfulness, truth, and trust. Since antiquity, it is said to be a love-bearing gemstone and appreciated for its charming features when it is given as a gift. 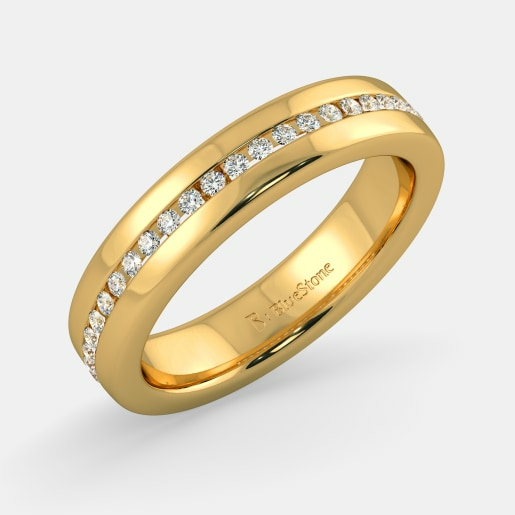 As the stone of choice on an engagement or a wedding ring, it represents the gift of eternal love. When a man proposes a woman and she accepts, he presents her with an engagement ring. This tradition is believed to have originated from Roman customs in which women wore rings with small keys on them, which indicated their husbands’ ownership! The very first record of a diamond engagement ring goes back to the year 1477 when the then King of Austria, Archduke Maximilian, got it designed for his wife, Mary of Burgundy. It soon became a trend amongst European nobility and aristocracy. The rest, as they say, is history! 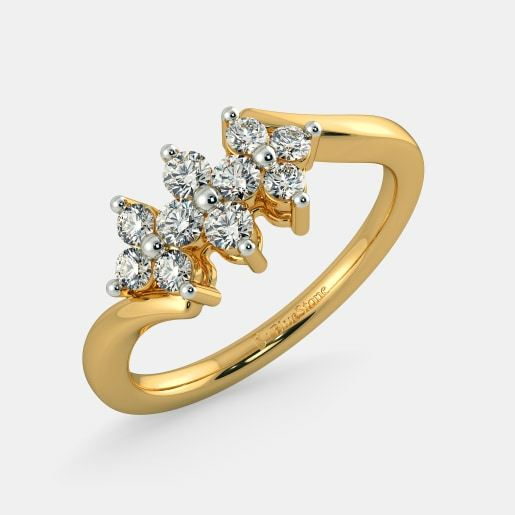 At BlueStone, we have handcrafted and handpicked designs to create a colossal collection of rings. 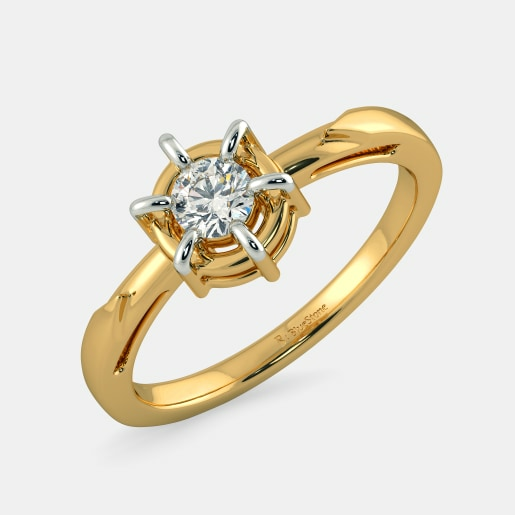 With the wide array of styles to choose from, you can buy women's diamond engagement rings online comfortably and conveniently without the hassles of stepping out of your home. Amongst our gold rings, we have a range of gorgeous pieces, such as the Niamh Ring featuring an intricate design and a radiant stone studded on it 18kt gold framework. 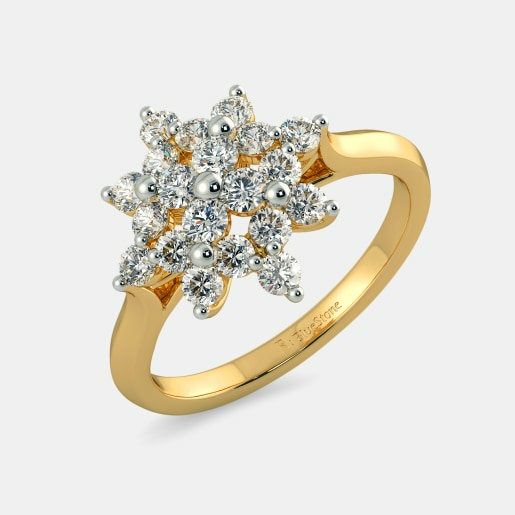 The Twilight Ring is a stunning 18kt gold ring featuring a floral silhouette on top studded with more than a dozen of the best and the brightest diamonds! 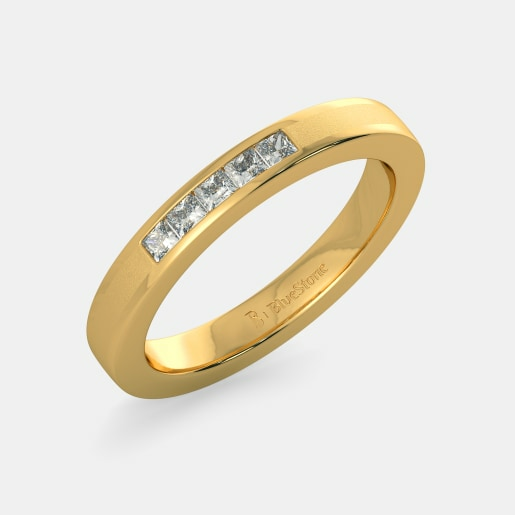 The Moirai Ring will floor you with its simplicity and sophistication. 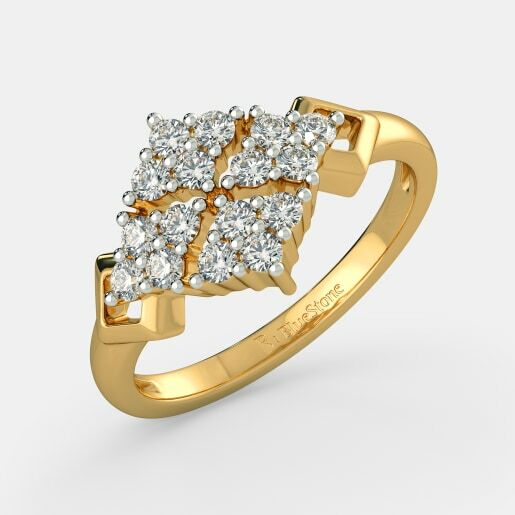 It is studded with multiple diamonds that give an impression of a big central stone and two smaller stones on its either side. 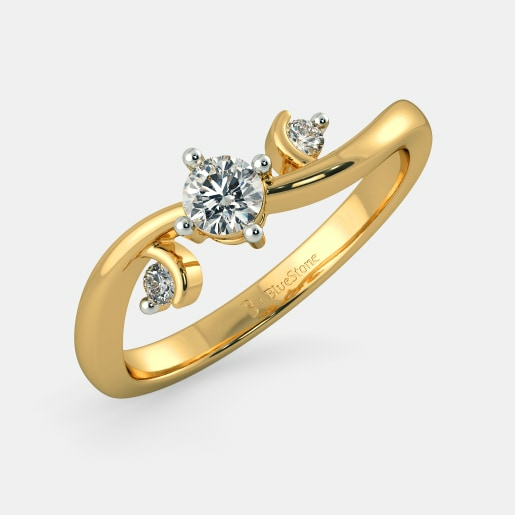 All this beauty comes at an unbelievably attractive women's diamond engagement rings price. If you want to buy women's diamond engagement ring designs made of white gold, then you’re in luck. You’ll be spoilt for choice when you browse our collection. 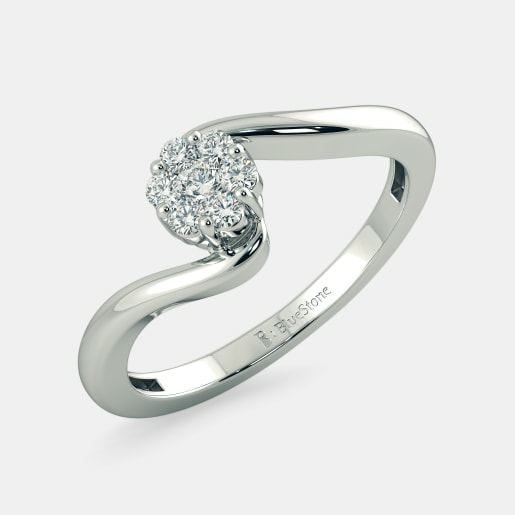 A simple ring, the Agneiz Ring features an 18kt white gold band studded with a diamond. The Cygna Ring will change your perspective of simplicity with its charming 18kt white gold band studded with an elevated diamond with its brilliant cuts on display, so precise that you might see a rainbow of colours on it. It will sure take your breath away. The Studded Radiance Ring is true to its name. 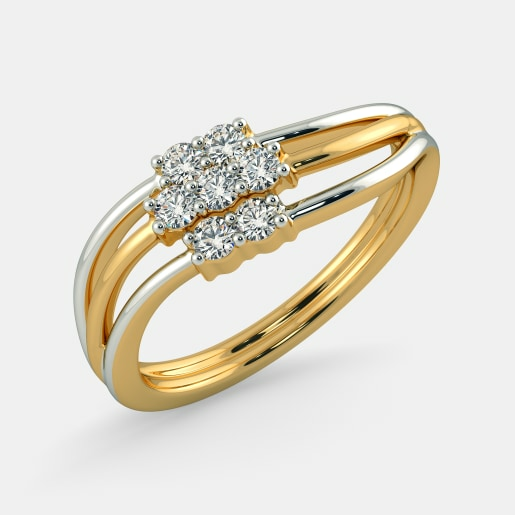 It exudes unmatched radiance with the bouquet of diamonds studded on top of the 18kt white gold band. 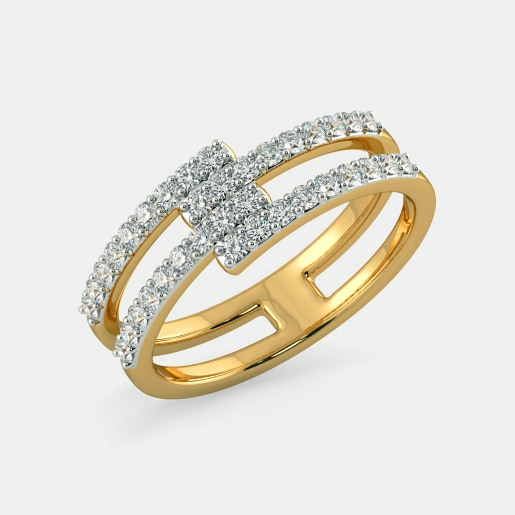 We also have rings that feature the heavenly combination of white and gold. 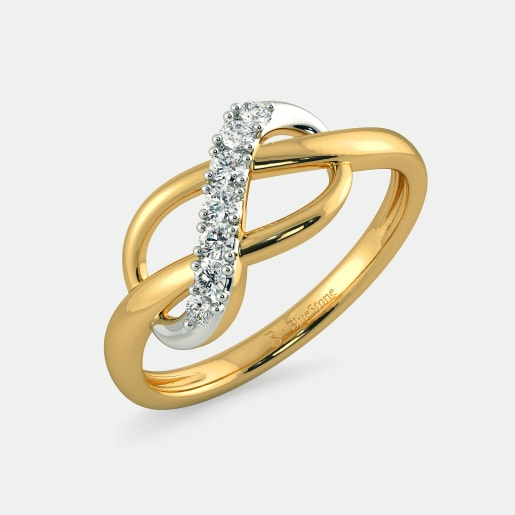 The Dual Sonata Ring is made with two bands of 18kt gold, one of which is plated with rhodium for a white gold look. 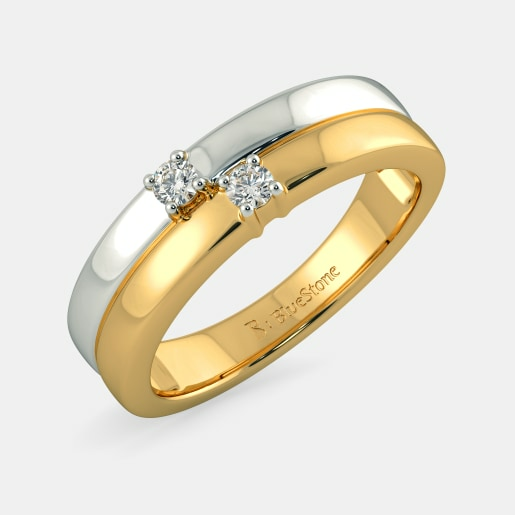 Both the bands are studded with a diamond each and designed to enchant you and your lady love. 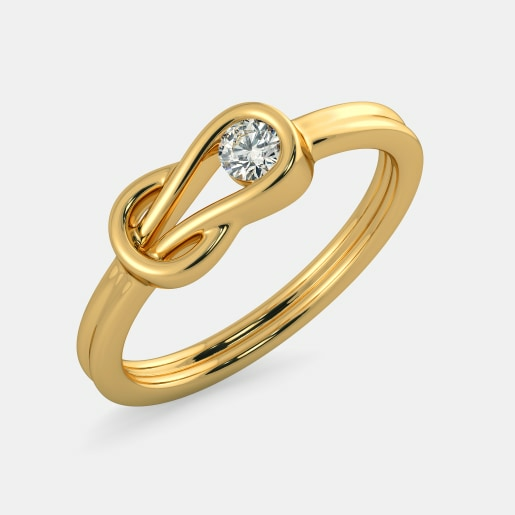 The Tenera Ring is made of 18kt white gold and has a tiny, yellow, diamond-studded segment that gives the illusion of joining the two ends of the white gold band. It is a thing of sheer beauty. Take a look at all the pieces in our collection to choose the best for your chosen one.